To remove the customers original shutter and replace this with a new reliable, fit for purpose fire rated shutter. For this application we choose the SeceuroFire Flame Shutter. 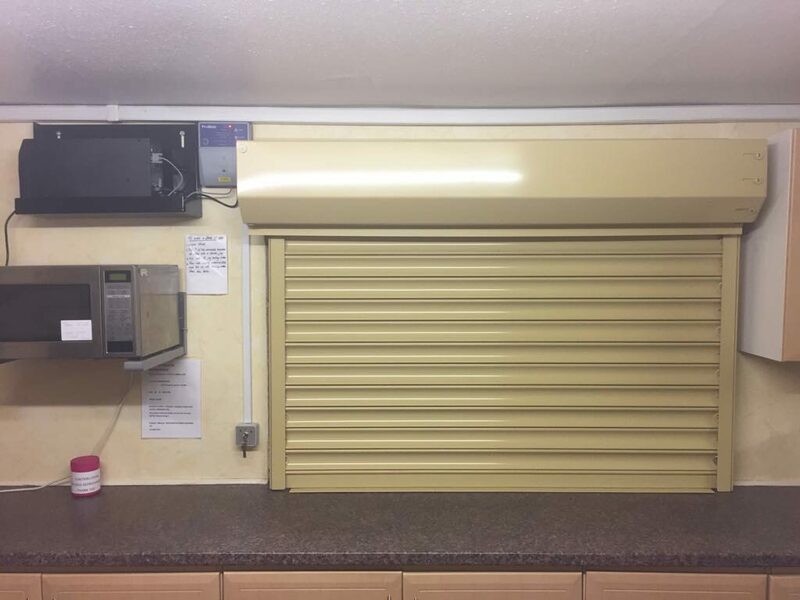 This shutter has been designed to be an everyday security barrier and to be closed automatically during an emergency. If a fire alarm signals, the SeceuroFire Flame Shutter will shut to create a fire resistance barrier. Available in a one, two and three hours fire protection, this SeceuroFire Flame Shutter is fully compliant under British fire resistance standards. We fitted our customer a Cream SeceuroFire 1 hour Flame Shutter, which met our customer requirements by being fire rated to British fire resistance standards, easy to use and was aseptically pleasing to the eye. The project was completed in 1 day and our customer was very happy. Find out more about our SeceuroFire Flame Shutter installations by calling us on 01524 771578 or email us at info@duratecsecuritysolutions.co.uk You can follow all our projects on our Facebook page and Twitter feed. Find out more about our industrial and commercial installations by calling us on 01524 771578 or email us at info@duratecsecuritysolutions.co.uk. You can follow all our projects on our Facebook page and Twitter feed.